I was excited to be going to the first World Fantasy Convention outside of North America since 1997, particularly when I was offered a reading slot and invited to join Jana Oliver, Tessa Farmer, Alison Littlewood and Emma Newman on a panel about fairy lore and literature. 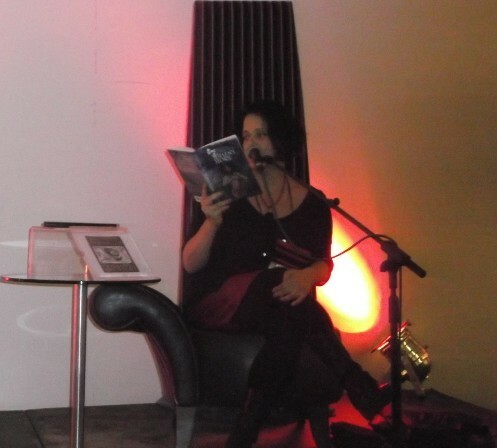 This was part of the stream of programming celebrating the work of Arthur Machen on his 150th birthday. Maybe some of the convention missives sent out beforehand had us worried, especially when we were informed that lost badges incurred a fine of £75 for replacement. But once the con got underway, people were very friendly. A programme of pop-up pirate events, a kind of World Fantasy Fringe, also added some spice to the event. Along with the usual social buzz of conventions, I enjoyed the opportunity to meet online friends in person for the first time. This included Lynda E Rucker, who I corresponded with on a TTA Press e-list way back in the late 1990s. Someone had to be doing stuff at the same time as the Terry Pratchett interview. And if that someone ends up being me (among others), I figured that I’ll just have to give it my best shot. Perhaps I was more concerned when I realised that I was scheduled at the same time as a panel on Machen and modern horror. After all, I’d been planning to attend it – had it circled and all! The reading room was most impressive, featuring a very high-backed Alice-in-Wonderland chair near a table provided with all the reading essentials. I read from Helen’s Story and “Lambeth North” from Horror Without Victims, a story that I had begun as a take on Machen’s story ‘N’. This was the first time I took a long look at these two tales together, and I was struck by the common themes as well as their differences (well, nothing of a sexual nature takes place in “Lambeth North”). Both stories exemplify the dialogue – and sometimes argument – I have with classic works that inspire me. As I’ve written previously, Helen’s Story developed out of years of fascination and frustration with The Great God Pan. In his story ‘N’ Machen imagines a gateway, a rending of the veil, in Stoke Newington, while nothing of the sort would be found in the ‘unshaped’ reaches of South London. myself rambling down that strangely silent stretch of Lambeth High Street, staring at the frieze and intricate moulding on the old Doulton pottery building, then entering the tiny park that had once been a burial ground for cholera victims. And while I enjoy stories where fellows of a certain age imbibe in pubs and tell peculiar tales to each other, here I imagined several gals quaffing their whisky and having a laugh. Given the other events taking place at the time, I was pleased that anyone at all came. And what’s more, the half-dozen or so in my audience included one to two individuals I DID NOT KNOW. At the end, most of us quickly decamped to catch the rest of the Machen and modern horror panel, which ended with short readings from Adam Nevill, Michael Kelly, Thana Niveau, Tim Lebbon, Paul Finch and Ramsey Campbell. Jana kindly sent me the points she wanted to bring up. I discovered that I knew more than I realised about fairies and the fae. In the end, the panel turned out to be a very enjoyable conversation about favourite books and provoked me to think more about their themes. In the wake of controversy regarding gender parity on panels, I was interested to find that this panel consisted of all women. An artist of the male persuasion had been on the programme, then he couldn’t make it. But we did have another perspective from the visual arts with Tessa Farmer, an artist who also happens to be Mr Machen’s great-grand daughter. She talked about her strange wire and insect fairy sculptures, and described how her creatures are likely to bring down larger and larger mammals… until they get us. And in a rather chilling aside, she added that parasitic wasps have been providing inspiration as to how this will happen. Jana asked us about our favourite stories about the fae, particularly those that took the theme in a new direction. I first suggested Mortal Love by Elizabeth Hand (interviewed by me here), a potent brew mixed with measures of the pre-Raphaelites, the ever-mad Richard Dadd, Swinburne, folk music, punk and the realm of faerie. I was intrigued by the hints of quantum physics in Hand’s book – a glimpse of the fae as beings trapped in two places at once, living between universes. This view was made more explicit by Justina Robson in her Quantum Gravity series, where a hadron collider meltdown results in a blurring of borders between the realms. Then I got onto Clive Barker’s Weaveworld. This is about a magical world called the Fugue that is hidden in a carpet, a place of refuge from persecution for a race called the Seerkind, who have been mythologised as fairies and demons. A young woman called Suzanna inherits this carpet and the secrets that it hides, and she is joined in a struggle to defend the Fugue by a young man who accidentally discovers the nature of the carpet. What made the far-out fantasy so effective was the realism of Barker’s portrayal of Liverpool in the early 1980s, just after the Toxteth riots of 1981. In Barker’s book a police chief called Hobart is engaged in a crusade to hunt down any remaining rioters. A sworn enemy of the Seerkind, Shadwell the Salesman, engages Hobart in his mission to destroy the Fugue. As far as Hobart is concerned, the world of the Fugue is a perfect hide-out for fugitive rioters. When I read the book, I was struck by the way the police chief Hobart immediately accepts that this other world lurks behind an old rug. As far as he is concerned, it is only another place to be controlled and subjugated. Indeed. Certainly I could see IDS as Hobart and salesman Shadwell rolled in together. Or perhaps the latter role would be played by George Osborne. The feckless fae would inevitably be targeted by a new government Daily Mail/DWP hate campaign, complete with ‘documentaries’ on the BBC through to the Daily Mail of the Air, Channel 5. And oh what a contract! The whole vile roster of poverty profiteers would stick their snouts in the trough – G4S, Avanta, A4e, Igneus… As I write I can hear the grunting and gobbling and snorting as they concoct their new money-making forced-labour schemes. So there you have it – workfair for the fae! In the next few weeks I’ll be taking part in two very different events. At the London Anarchist Bookfair next Saturday – 19 October – I’ll contribute to a meeting that will look back on hospital occupations against closure and discuss their current relevance to defending health services. And at the World Fantasy Convention two weeks afterwards I’m on a panel about… fairies. From austerity to fairyland: the leap between these two subjects first provoked a few bemused chuckles. Then I looked into these subjects a bit more, and you know… I had to think again. 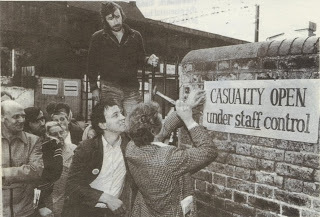 In this spirit, we will cast our eye back on campaigns in the 1970s through the 1990s when staff and patients occupied hospitals under threat of closure. 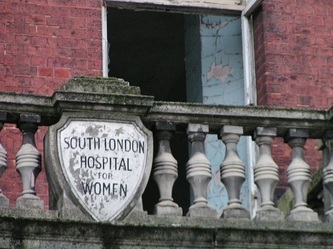 I took part in the occupation of the South London Hospital for Women from 1984 to 1985, so I’ll bring reflections on that to the discussion. My friend Myk will share his experiences of occupying at UCH in the 1990s. Currently the NHS is under threat again. How is the situation different now? Are tales of previous occupations relevant? The NHS, vital as it is, has never really been under our control – are occupations a step in that direction? We’re also very keen to hear from others who are currently involved with opposing health service cuts and hospital closures. The bookfair itself is well worth a visit and you don’t need to be a card-carrying or flag-waving anarchist to find something of interest here. The event takes place at Queen Mary’s University at Mile End and features workshops, stalls, books and music, talks and films. Two crèches are available and there is also disabled access. Check out the bookfair website for more information. Which brings us to the World Fantasy Convention in Brighton, from 31 October to 3 November. Though I’ve been to the UK Fantasycon many times, this will be my first world fantasy event. I’m looking forward to four days of schmoozing, socialising, panels and discussions, drinking, drinking, drinking, curries and curries… and meeting other readers and writers from around the world(ish) who are passionate about fantastical fiction. And I’m also excited to be involved in two programme items. Tickets are no longer on sale for the convention, but if you happen to be going you might be interested in the following. 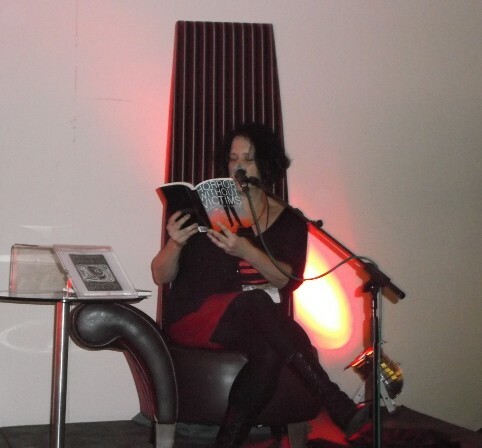 On Friday 1 November I’ll be at the Reading Café 3-3.30. Given that one stream of programming at WFC will mark Arthur Machen’s 150th birthday, I’ll read from my novella Helen’s Story and from “Lambeth North”, my short story in Horror Without Victims. As you can guess from the title, “Lambeth North” will shed a different light on a part of London that Machen had once described as ‘shapeless’, ‘unmeaning’ and ‘dismal beyond words’. But here South London holds its own. Then on the Saturday at mid-day I’ll be on a panel, The Little People: When the Fairies Come Out to Play. 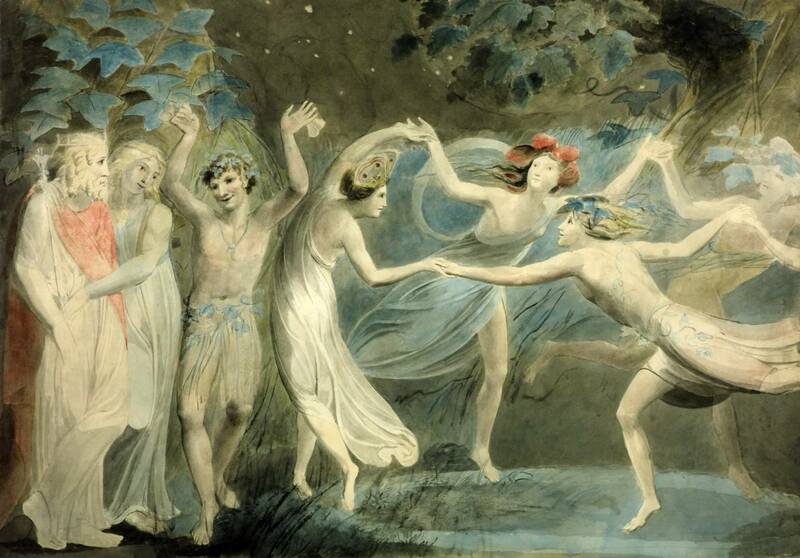 This discussion looks at how Arthur Machen and other authors and artists have used folklore, the landscape, science and literature to create stories of the faerie otherworld. So what is the connection between these topics? When musing on this, I had another read of Simon Bestwick’s excellent blog post, The Shrinking Space, which addresses a similar question. Simon describes the fallout from austerity and the ‘shrinking space’ it leaves for enjoying life and exercising the imagination. Simon also looks at the legacy of Arthur Machen, As well as a classic writer of dark fiction, Machen is often read as a father of psychogeography. An impoverished clerk in his younger days, he wandered the streets of Edwardian London to discover worlds of wonder and dread “a stone’s throw from Kings Cross station”. But in the modern-day ConDemNewLab dystopia there’s little time for wandering, and the otherworldly and unworldly transcendence of Machen’s vision will find little room to thrive. Nowadays, those in employment face continual compulsion to work more and more for much less and give up their live to their work. The clerk of today would be subject to repeated performance reviews, team-building exercises and examinations of their ‘attitude’. Meanwhile, those who are unable to work or refuse to submit to this regime are hounded and starved by the DWP, ATOS and a vile cabal of poverty profiteers such as A4E and G4S. Machen’s character Lucien Taylor in The Hill of Dreams “craves beauty and peace and seeks to capture them through prose”. But there’s no chance of doing that for those who get forced onto a workfare scheme or – as Universal Credit would have it – get forced to do time in the job centre if their clerk’s salary is too meagre without a top-up for stratospheric 21st century London rents. Machen became a bit of an old Tory himself and waxed jingoistic over WWI, but Simon’s article nails how the literary legacy of his best work still stands opposed to the ravages of contemporary neoliberalism. I tend to think that ‘authorial intention’ is often distinct from how the core of a story is perceived by those who read it in years to come. On one hand, the regime of austerity and intensified work aims to crush any attempt to use the imagination. On the other hand, the active use of imagination is what gives social movements their power. Fairies might not have had much bearing on our occupation of the South London Women’s Hospital – though we did tell a few ghost stories about the walk along the underground corridor between the main building to the annexe, which happened to pass the morgue. This is the balcony where we sang “What shall we do with the cops and bailiffs”, dressed up in nurse uniforms and surgeon’s masks. Good times! But our campaign showed resilience because we went beyond traditional meetings and petition-writing. We didn’t only defend the health service as it was, but created a centre where women came together to take action, discuss and start to create the kind of health care we wanted. And beyond that – a vision of the kind of world we want to live in. Is there a difference between escapism and wanting to escape? Answers on the back of a postcard, please! Things have been very busy with my two day jobs, so this blog has been left to ferment for a while. But I have found some time to post AJ Kirby’s wonderful in-depth review of Horror Without Victims. Good news! 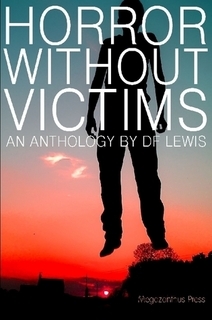 My story “Lambeth North” will appear in the new anthology from Megazanthus Press, Horror Without Victims. So what is meant by ‘horror without victims’? Along with a few other writers, I was scratching my head for a long time as I turned the concept over in my mind… Initially, I came up with a satire on ‘positive thinking’ and psychobabble. In this regime, someone who gets critical, angry or even mildly distressed will often be damned for not being ‘proactive’ and for playing the ‘victim’. I discussed this idea with my “Turning Track” collaborator Mat Joiner, and we conceived a story based around an enforced job-seeker’s workshop. Within the context of claimant compulsion and the welfare-to-work racket, the ideology of ‘positive thinking’ has been assuming sinister and invasive – as well as laughable – aspects. See here for an account of this at a workshop run by poverty profiteering multinational A4e, and here for an example of compulsory and nonsensical psychometric testing for JSA claimants. Other online discussions suggested that ‘horror without victims’ could be found in any story that summons feelings of unease, dread or darkness, accompanied by a low or non-existent body count. Work from writers such as Aickman was mentioned, or classic stories like Algernon Blackwood’s “The Willows”. Well, in the end I submitted a totally different story than the one I started with Mat. “Lambeth North” was partly inspired by one of Arthur Machen’s less known stories, “N”. However, the locale is moved to South London, an area that Mr Machen apparently held in some disdain. My collaboration with Mat will still go ahead, but we’ve come to realise that under the circumstances, we might really want to have some &%!! victims in this particular story after all!